M(i)s Ch(i)ef™: If you could choose only one meat, what would it be? If you could choose only one meat, what would it be? We were having a dinner party conversation last week "if you could only eat one meat from now on, what would you choose?" It's a toughie for most meat lovers but my answer is most definitely a PIG! Whilst Pork wouldn't be the highlight of a last meal (I'd be choosing Roast Beef with Yorkshire puddings and horseradish sauce for that!) pork is an all rounder. 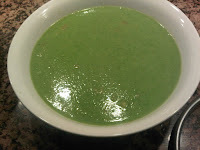 Let's play it out over a weekly meal plan - for which I am famous! Tuesday - often I am out on Tuesday nights so I leave something for my hubbie to prepare for himself - how about bangers and mash - a Dude food speciality! prepared earlier in the week will be just the ticket. Friday - Friday night is pizza night in our place, a prosciutto and rocket pizza takes us right back to our Italian Honeymoon. Sunday - Sunday kicks off with a big breakfast with poached eggs, garlic mushrooms and of course bacon. 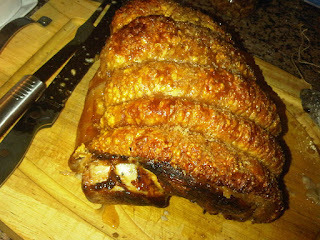 And of course, it finishes with a roast - juicy Roast Pork with mouthwateringly crispy crackling! Now do you see what I mean? So, which meat would you choose? *this post was not sponsored in any way by any Pork authority, but if any of them felt like giving me a lifetimes supply of pork, I could happily find ways to use it! Oink oink!